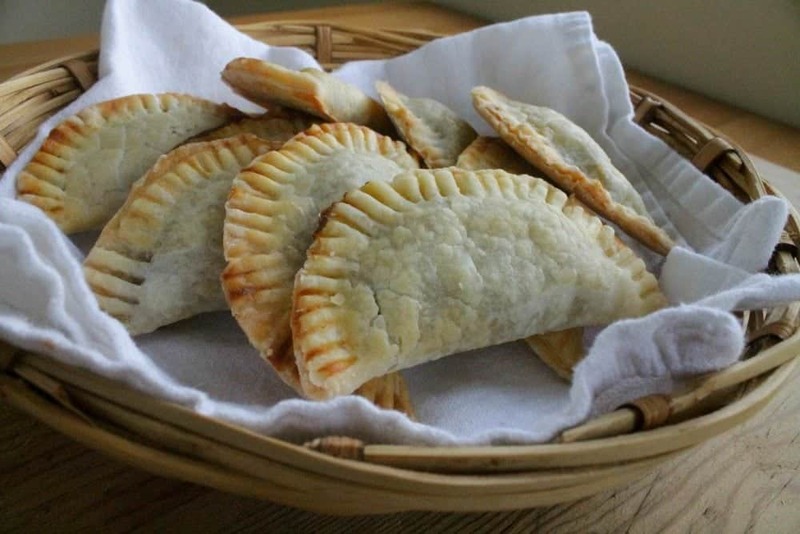 Pumpkin Empanadas make yummy, sweet treats for the holidays. A classic Mexican dessert that’s a favorite all year long. 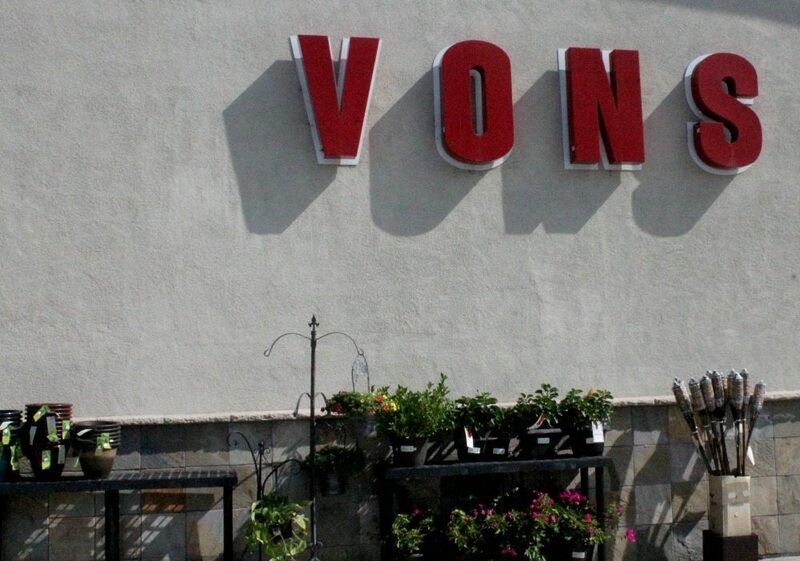 Disclosure: This is a sponsored post written by me on behalf of Vons. As always, all opinions are mine and mine alone. When I was an undergrad in college, I was a bit of a nerd. Ok. Maybe a really big nerd. One semester, I knew that I would get an A in my statistics class even before taking the final. So, I went to talk to the professor during his office hours to ask him if I could skip the final exam. He suggested something completely different. Instead of the final, I make him my favorite pan dulce. Something yummy to eat while he was busy failing other students. 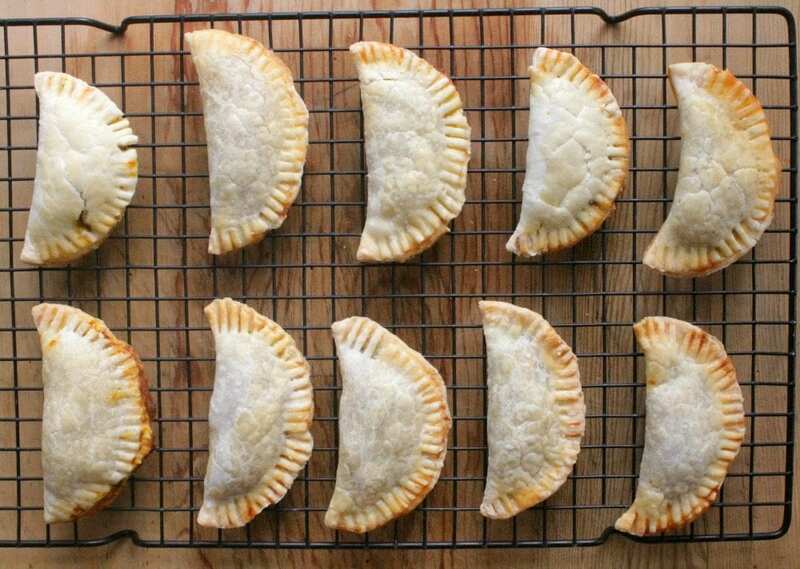 I ran home and made him a batch of Pumpkin Empanadas. Needless to say, I got an A in the class. 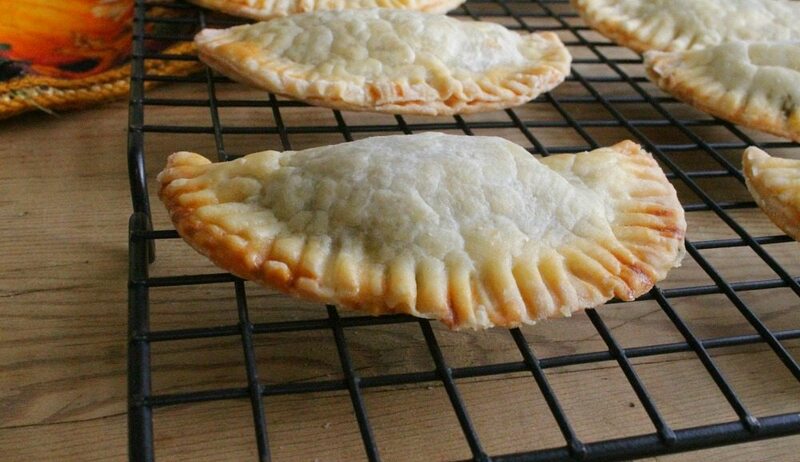 Pumpkin Empanadas were my favorite as a kid. They were always too doughy though. I would often eat the center with all that pumpkin deliciousness and leave the crust behind. Clearly, the filling was my favorite. 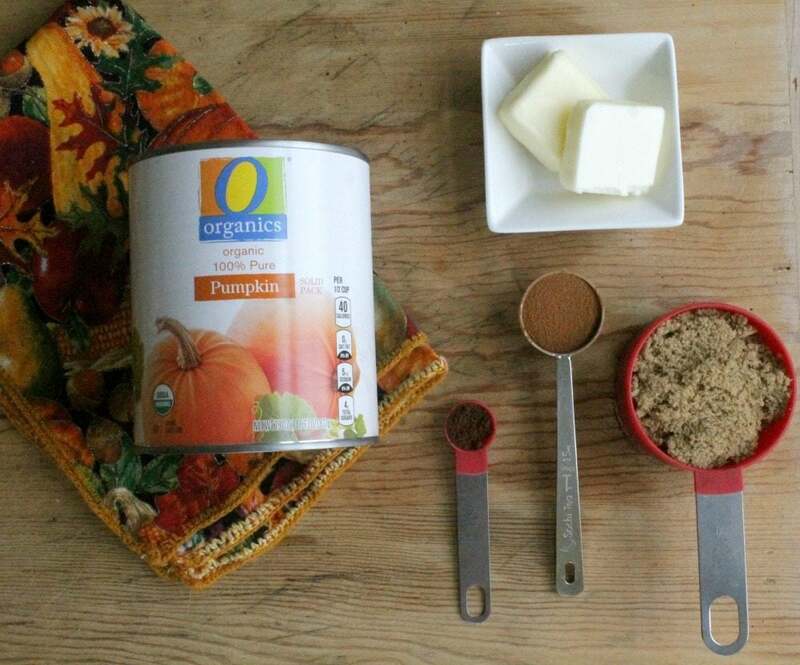 Here, I’m using O Organics 100% Pure Pumpkin. I’m all about quality, and that’s what O Organics products are all about and they’re found exclusively at San Diego VONS where they offer a wide variety of USDA-certified organic products that are available at a great price and through their eCommerce Grocery Delivery services. 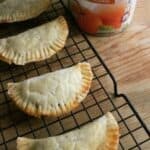 I always make Pumpkin Empanadas during the holidays with my son. Think of it as the Mexican alternative to old fashioned American pumpkin pies. VONS has over 400 USDA-certified O Organics Products in nearly every aisle. They have everything you need for your holiday treats and eats. It’s easier to eat healthy especially with affordable O Organic products. Ooooh, here is something I discovered in my search for the perfect Pumpkin Empanada recipe: spice is nice. Ground clove is a must! You don’t want to use too much either. That stuff is potent. I love my local VONS. As you can imagine, I’m there a lot. I feel like I know everyone there. They’re almost like part of our extended family and always help me find just the right products. And who doesn’t love good savings? You guys, be sure to check out the VONS app. Download it, open it up and save money! You can also find O Organics at all of the Albertsons Companies family of stores, including Albertsons, Safeway, Jewel-Osco, Vons, Pavilions, Randalls, Tom Thumb, Shaw’s, Star Market, United Express, United and Carrs/Safeway. Visit vons.com to find a store near you and discover more meal prep tips and holiday recipe ideas. Years later, when I started testing recipes, I decided to use pie dough. It’s flaky, buttery, and thin. Yes, yes, and yes! 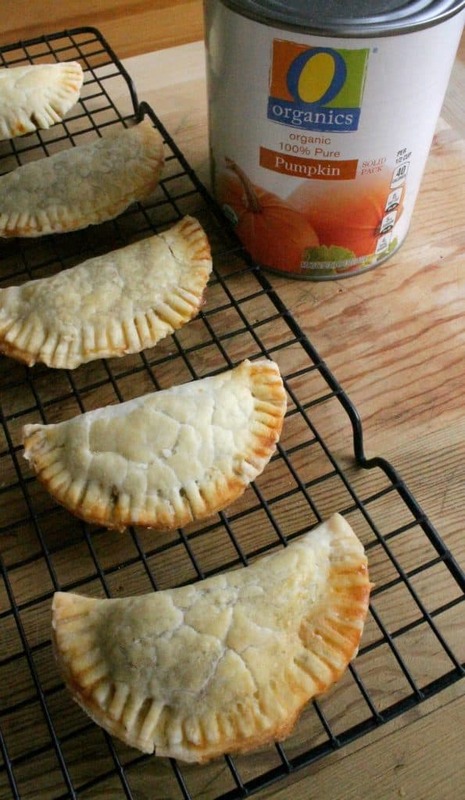 Make an egg wash and brush the top of your unbaked empanadas. That’s what gives them that golden look. 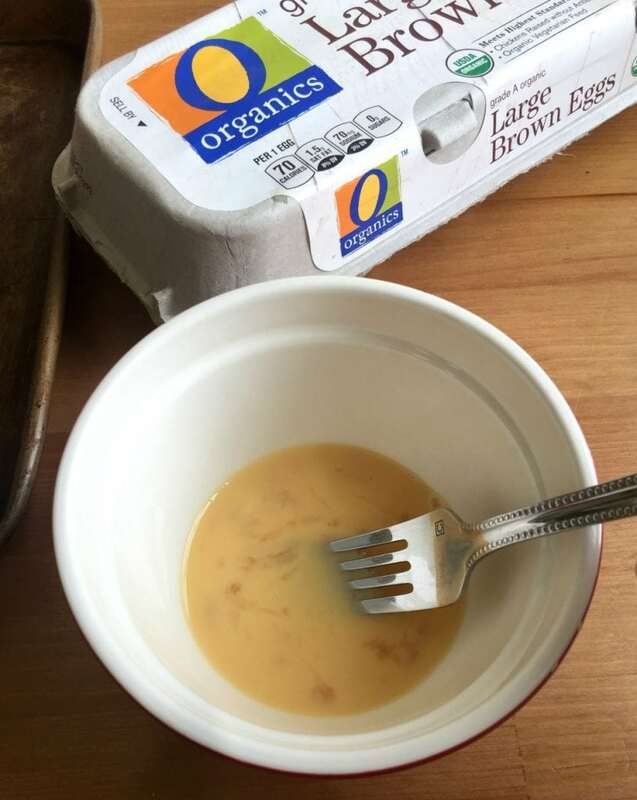 For my egg wash, I prefer O Organic eggs. They taste great, and, as luck would have it, they are always at a good price. VONS believes that organic food should taste great and be available to everyone at a great price. As a mom and a home cook, I love that! $25 Off + Free Delivery on your 1st order when you spend $100 or more. Enter promo code: SEASONSEATINGS at online checkout. Offer valid through 1/14/18. Preheat oven 350 F or 180 C.
In a large pan, melt the butter and add the brown sugar. Then add the pumpkin, cinnamon, and cloves. In the meantime, sprinkle flour on a dry, flat surface. Use a circular cookie cutter or clean, round can, cut out a circle about 3-inch in diameter. Add a teaspoon to the middle of each circle. Fold one end of the circle over to close. With a fork, press the edges to close. 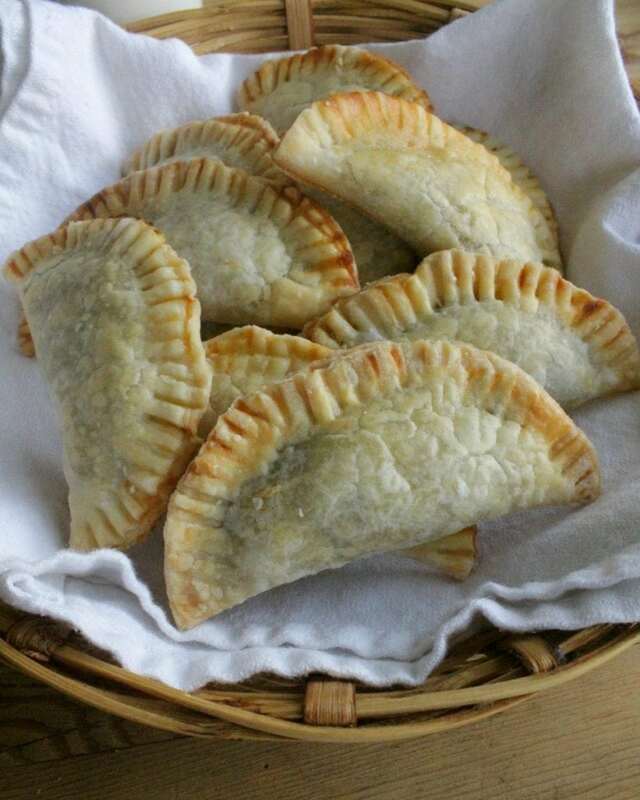 In a greased pan, place each of the uncooked empanadas.